Yesterday, the surprising Congressional election result in Pennsylvania was all the talk on TV news outlets. Perhaps prematurely, there is a growing belief that this portends a wave election in November, quite possibly throwing the House back into Democratic hands. So their spokespersons in particular were all over the TV happily discussing their prospects. But as I watched, a bit skeptically I must admit, I had a bit of an epiphany. I remember surfing to Hillary’s web site when she was the Presidential candidate to see what policies she was promoting. Adopting a progressive viewpoint, these seemed fairly sensible and the usual fare. There was a long list of ideas, policies and program proposals. Very long – and therein lies the epiphany. Think about those having financial problems or fearful about the future for themselves and their families. They could scan down this list and find something to latch onto at, say, item 12 and perhaps items 31 and 32. But there was all this other “stuff” about things that seemed nice but not on point. Can you blame them from coming away from this feeling that their issues were just not that important to Hillary? Having an abundance of great ideas is actually a failure to focus! Candidates and their party leaders need to take a risk. They should identify perhaps 4-5 main issues and hit them hard, relentlessly and virtually exclusively. That will omit some things that are important to portions of their base, but that is essential to having discernible clarity and purpose. Failure to follow this rule afflicts both parties, but I think Democrats tend to be the greater transgressors. If you think about it, isn’t that what Donald Trump did? I think this contributed mightily to putting him over the top. Of course, all the other issues will come up from time to time in interviews and on the stump. There’s nothing at all wrong with promoting your campaign’s ideas when this happens. But everything can’t be a big deal. It’s possible to have a big tent without having a section marked off for every special interest in it. I make no secret of the fact that I am no fan of either major political party. But every now and again I like to put on one of their hats and offer my perspective about what they should do to achieve success. This time the Democratic Party is the honoree. There is much discussion about who will assume leadership of the party, which – let’s be honest – is in shambles across the country. People keep mentioning the old standards, Joe Biden, Elizabeth Warren, Bernie Sanders and Jerry Brown. There are even whispers of a Hillary Clinton reemergence. “Old” is the operative term. Meanwhile there are occasional boomlets for young leaders who have yet to make a national impact, like Julian Castro, Tulsi Gabbard, Eric Garcetti, and Kirsten Gillibrand. The common belief that the party has a weak bench is wrong. There is no dearth of young talent, but no one has exhibited that special essence that makes a viable national candidate. However, one aspect of this search seems to have been mostly ignored. By far the largest identifiable segment of the Democratic base is black women. This group is large, influential and reliable. It seems to me that it makes sense either to choose someone from that group or, if no qualified candidates stand out, then at least someone who particularly appeals to it on a gut level. That should be the first criterion. So, here’s my suggestion: Sen. Kamala Harris. Yes, I know, she is just a first-term senator but I have a one-word response to that criticism: Obama. She is smart, accomplished, and a great public speaker. In California she has demonstrated that she can draw votes from a broad spectrum of voters. I say go for the touchdown, don’t just try to squeak out small gains. Trying to bridge the broadest range of voter support with a candidate beloved by no one has been tried and it failed. Trump showed the path. Find your core and stick to it with vim and vigor. Don’t worry about fringe supporters. They have nowhere else to go and just the horror of the Republican opponent will drive them to the polls. Going for a geriatric standby is comfortable but that road has a dead end [pun intended]. Moreover, forget about that unicorn, the uncommitted centrist. Most people who claim to be in that group are either self-deluded or outright liars. One counter argument, largely presented by the Biden wing, is that Democrats must return to their roots and appeal to disgruntled white working-class voters who deserted them in droves in 2016. But think about it. If an elite NY billionaire with funny hair can achieve this rapport, why can’t an attractive young California legislator, even if she is a black woman? In this case, the key is the message, not the messenger. This Friday Donald Trump will be inaugurated as the 45th President of the United States. And there are numerous plans in place for counter demonstrations. I really don’t understand their purpose. Of course, anyone has the right to demonstrate peacefully, just as anyone has a perfect right to make a fool of himself. But what exactly do they hope to accomplish? Has anyone among the organizers sat down and thought through what they are trying to do, other than making noise? I can understand demonstrations intended to force a change of policy or those intended to raise social consciousness about some injustice. 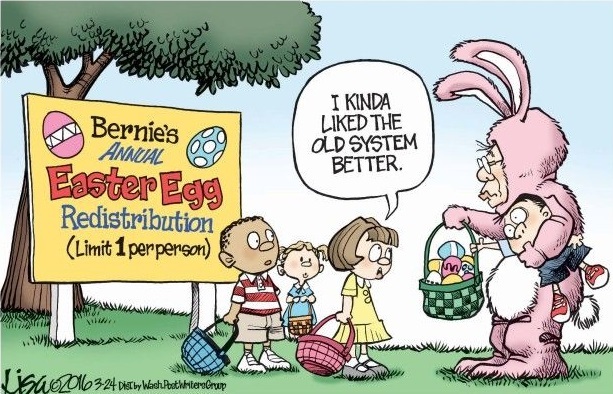 These demonstrators dislike his policies, as best as they can perceive them, but this is how our system works. The people vote for the policies they prefer, someone wins, and many don’t like this result one bit. Jumping up and down in anger about losing seems profitless and – let me say it – ill-mannered to boot. As to raising social consciousness, my guess is that the real consequences of their disturbances will be quite the opposite. Believers may sing hosannas, but the rest of us will recoil in dismay. This inauguration is not a celebration of Donald Trump’s victory. The Clintons will be attending and surely you don’t believe this is their purpose. 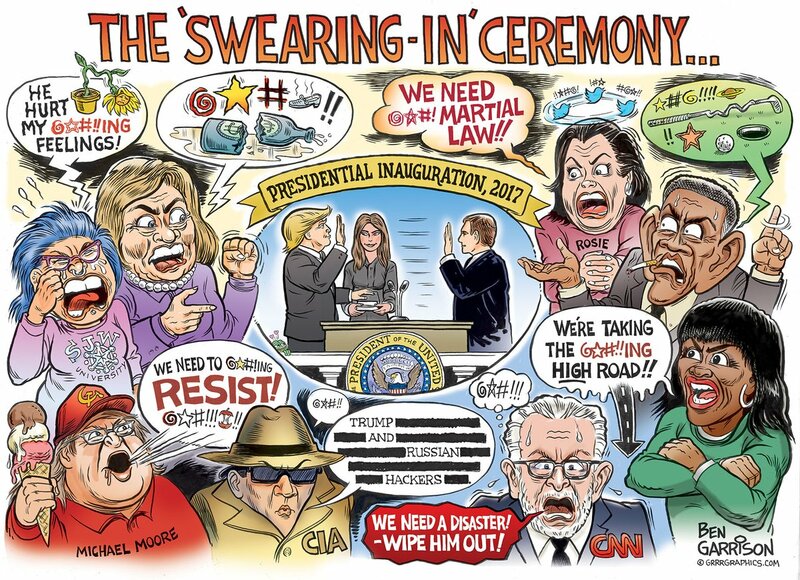 Rather, a Presidential inauguration is a proud celebration of a peaceful transition from one set of leaders to the next. Few other countries can boast of a similar long history of democracy working in practice. 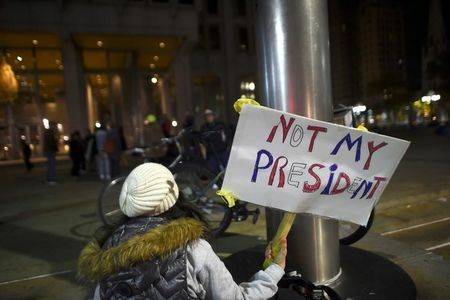 No minds will be changed by marchers chanting slogans because there is, as yet, no common sense of injustice in the election of Donald Trump. When he begins to act on his promises, however, then demonstrations might be in order and might even be effective. I have listened to a few interviews of demonstrators, but all I heard was anger, fear and intense dislike. There seemed to be no positive goals at all. I suppose it is cathartic to vent like this but everything has consequences, and my guess is that none will be good for those involved. Basically, it seems a bit like saying to the incoming President, “F*** you! And by the way, please listen to my concerns.” When has this approach ever worked? Would it work with you? And directed at this particularly thin-skinned egotist, would this be the course of action any sensible person would choose? Civil rights demonstrations at least have a purpose and moral authority. Positive action in response is conceivable. This just seems like a childish tantrum of thwarted desires and dashed hopes. Even impartial observers will watch this the way you do when a child at a neighboring table in your restaurant has a screaming fit. Do you feel compassion for the kid or just wish the parents would take the brat off somewhere and leave you in peace? Recently I wrote a retrospective on our national elections entitled “Why it Happened – My Take”. It focused on three general factors that probably doomed Hillary’s chances, though a better campaign strategist and public orator might have overcome them. But evidence is accumulating that there was in fact a single concrete issue that substantially drove the outcome. This was discussed during the contest, however there seemed to be not much daylight between the stated positions of Trump and Clinton. Nevertheless, I am convinced this was the key to the result. I am not teasing by not identifying this issue. Look at the following image and see if it doesn’t jump out at you. This is a county-by-county breakdown of the vote that shows how strongly voters supported each of the candidates. The darker the colors, the higher the percentage of support. Do you see it? This picture contrasts sharply with similar breakdowns from recent Presidential elections. The heart of Republican support has long been the solid South and the largely rural West. This is clearly different. The rust belt rules. There is one word – well acronym really – that defines this change: NAFTA. The rust belt voters rose up and denounced the North American Free Trade Agreement in a deafening roar. That became a symbol for a largely Democratic economic policy that may have increased our GDP but at the cost of deep and enduring pain for many communities. Its proxy this time was the Trans Pacific Partnership (TPP). This yet-to-be-ratified agreement by the Obama administration seemed like NAFTA II to many voters. Trump spoke out powerfully against it, but not because he opposed international trade agreements in general. Rather, he contended that it was characteristically poorly negotiated by people who didn’t understand “The Art of the Deal“. Furthermore he argued that bilateral agreements are more likely to give better results than multilateral ones like NAFTA and TPP which have to mediate many conflicting interests. 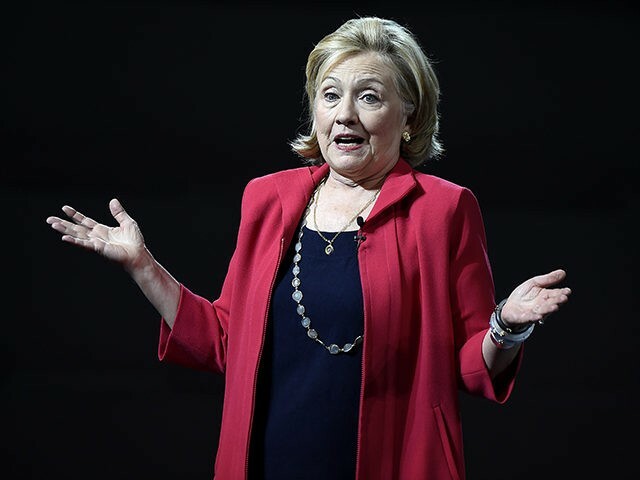 Hillary waffled on TPP though eventually she said that, on balance, she opposed it. Basically few believed her, and her overall reputation for dishonesty didn’t help. Moreover the fact that her husband was the father of NAFTA probably stuck in many minds. As rust belt opinion solidified, Hillary didn’t see it coming, not even when the evidence was there for all to see. Her local supporters saw it of course and begged her to come stem the tide, but to no avail until it was too late. To be fair, Democratic Party consensus agreed with Hillary. Everyone knows, for example, that Pennsylvania is the El Dorado that Republicans seek every four years only to have their hopes dashed. In October, the Washington Post cleverly – so they thought, anyway – expressed this using an analogy to Lucy pulling the football away from good old Charlie Brown. Will this become the map of the future. I don’t think we know yet, but I suspect not. For one thing, given Trump’s proclivities, we probably won’t have more NAFTA clones to goad those who hate it. I think the red color will slowly drain south and west again to a more familiar picture. Democrats are justifiably reassessing their message to middle America. Losing Wisconsin, Michigan and Pennsylvania is a wake-up call. Few believe that Democrats can remain a national political force operating mainly from the North-East, the West Coast and a smattering of great cities scattered across the land. I just watched an interview of two aging Democratic heavyweights, Hilary Rosen and Bill Press, and I was amused at how clueless they are. Like Hillary Clinton’s ill-fated campaign, they profess to look forward while actually thinking mostly of triumphs from the distant past. Their assessment is that the recent campaign concentrated too much on social issues and character assassination of Trump and too little on bedrock economic issues. That is likely true, but then they proceeded to demonstrate that they are the problem not the solution. For example, Press noted that Democrats have always had the back of working class America, citing the many great programs that they have created and supported over the years. Thus, he mused, the problem must be how they get their message across. He cited as principal examples their promotion of a $15 minimum wage and their fervent support of unions. But the uncomfortable fact is that many – perhaps most – in the working class don’t much like either of these! They see the minimum wage as just a sop for others, the poor and marginal workers. The only impact they foresee for themselves is job insecurity as businesses have to adjust operations to meet a general upward wage pressure. A rise in wages that results from increased business activity and a tightening labor market is welcome and has few adverse consequences. One that is simply mandated is quite the opposite, except for those who are its direct beneficiary. And that is not the majority of working class America. As to unions, they currently have a very mixed reputation. Unions once did marvelous things for workers in general and we all have profited from their efforts. But that is long past. Unionization is now low and decreasing. It is strongest in the public sector, but that is a mixed blessing for union promoters as few outsiders think highly of government workers. A key factor in the low reputation of unions is a growing recognition that many of them basically ran a scam on their members. Their leaders colluded with management, particularly in the public sector, to trade wage increases for lavish fringe benefits, like retirement packages with golden health plans. This was attractive to the short-term perspectives of management because the costs don’t show up as operating expenses. Rather they contribute to out-year costs when, presumably, many managers will be comfortably retired. For the union leaders this also is attractive as the negotiations are far easier and their outcomes, if future benefits are amortized, appear very lucrative. The problem is that these agreements imposed impossible debts that are now coming home to roost. Wages have stagnated and the promised fringe benefits are in jeopardy. Why should those who work with their hands back a party that promotes pie-in-the-sky social schemes, transgender bathroom rights, sanctuary cities, a globalized economic policy, immigrant rights, and a long litany of causes that are remote or counterproductive to people who sweat for a living and struggle to raise a family? Joe Biden is right. Democrats need to return to their origins. It’s fine to work for the poor, the disadvantaged and the downtrodden. It shows their heart and good intentions. But their main message must be to those who have jobs and work for a weekly paycheck. Otherwise they will become the party of the marginalized, essentially a Bernie-style Socialist Party. Even a blowhard like Donald Trump can defeat that. Watch who is selected as the new Democratic National Committee chairperson. 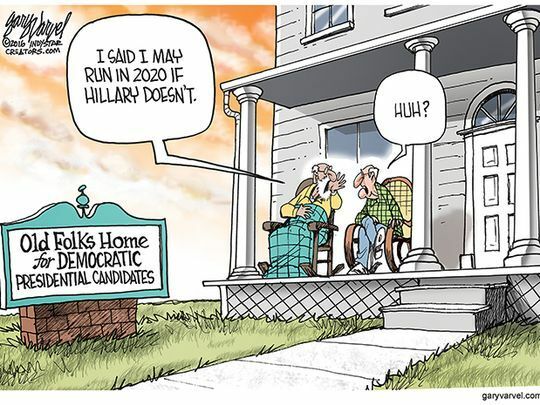 Just as picking Debbie Wasserman Schultz signaled a grey, technocratic and backward-looking future, this will show what path they are choosing for the next political contest. If it is Rep. Keith Ellison, as is widely rumored, the party is likely toast for the foreseeable future. As I have often remarked, I hold no allegiance to either of our two venerable political parties. Indeed, at the risk of insulting my readers, I confess that I consider true-believers of either ideology to be happily deluded at best and sadly demented at worst. Both parties have ideas worth considering and certitudes that are simply nonsense on their face. 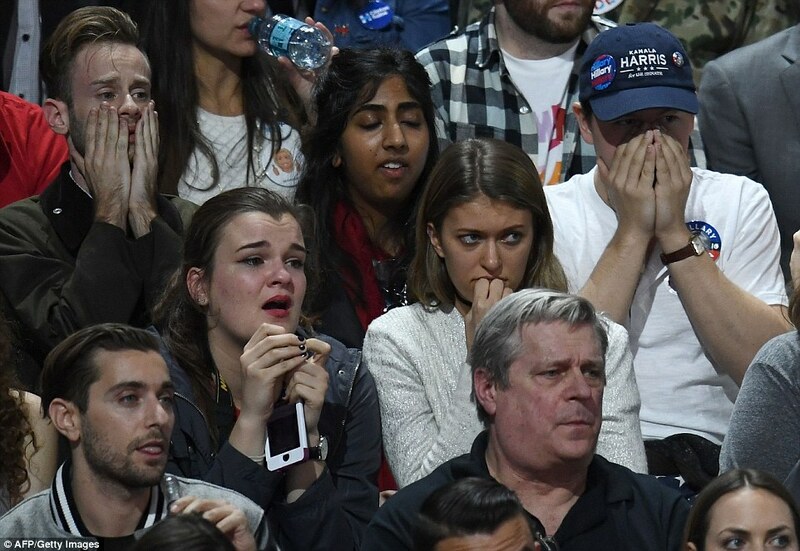 With this background in mind, here are a few of my thoughts about the situation that the Democrats now face after their recent electoral defeat. First, here are few statistics to ponder. It is no surprise that Democrats are despondent. Republicans will shortly control the Presidency and both Houses of Congress. They will likely also dominate the Supreme Court after the Scalia vacancy is filled. Of the 99 state legislatures, 69 are totally controlled by Republicans. In 24 states, Republicans control both the State House and the legislatures. Only 6 states have Democratic Governors and legislatures. There are 34 Republican Governors, providing a full bench for future Presidential candidates. Fully one-third of the House Democratic caucus comes from just 3 states: MA, CA & NY. Of the almost 700 counties that Obama won twice, Trump won 209 of them. Of the counties that never voted for Obama, Hillary won only 6. Basically, contrary to popular opinion, we are not a divided nation except in the sense of an Athenian democracy, which of course is not our form of government. We could take all Democratic voters and stuff them into California and never again have full Democratic control of our federal government! I won’t list the comparable situation when Obama took office in 2008, but suffice to say that the years of his leadership have been an unmitigated disaster for his party from the perspective of political power. Not that he didn’t have some policy successes, but evidently the electorate gave him and his party scant credit. The President of course doesn’t directly influence what happens in elections at the state level. But he sets the tone and his successes or failures trickle down to a significant degree. To be fair, Republicans did everything in their power both to see that he failed and that he was seen as a failure. His successes are thus all the more remarkable in the face of their intransigence. Still, compare his tenure with that of Bill Clinton, who faced at least as clever and relentless political opposition while presiding over the most successful Democratic regime in the modern era. And all of this was in spite of the indignity of almost being impeached. The Democratic Party will recover and once again become a vibrant political force across the land. Early reports of fracture or even demise are overwrought and are comparable to what is usually said after painful defeats of either party. For example, the Goldwater cataclysm in 1964 was supposed to be the end of the Republican Party. However, the near victory by Hillary Clinton this time is misleading. She had the weakest opponent since the Democrats threw up Walter Mondale or Michael Dukakis. I think Joe Biden would have won handily even though he would be fighting the tide of a change election. How long this recovery takes depends on how quickly Democratic movers and shakers come to grips with what is wrong and why. It is too soon after this election to even begin this process. In addition, the poison fruits of a generation of neglect of “flyover America” will threaten any renaissance. The 2020 census is not that far off and the mass of Republican legislatures and Governors will no doubt continue their re-apportionment gerrymandering. My two cents worth is that depending on big city juggernauts and the growth of the Hispanic population will not work. The latter group is far more diverse in outlook and interests than is popularly appreciated. 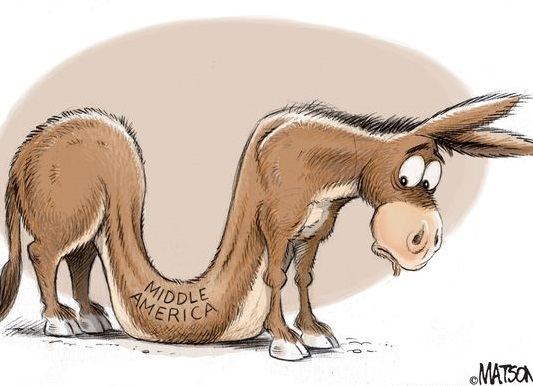 Democrats have to listen to old hands like Joe Biden and reconnect with their old base among the less-educated middle class, both white and black. These are not just “po’ white trash” as the Democratic intelligentsia sometimes appear to believe. Relying on the poor and the well-to-do intellectual class is not a viable long-term solution because they are geographically concentrated in ways that don’t work on our electoral map. Bernie Sanders had it right is some ways, but he was a flawed spokesman for that viewpoint. To end on a bright note for those of you who voted for Hillary, there is an excellent chance that Republicans under the leadership of Donald Trump will step in the big do-do. The announcement yesterday that Steve Bannon, of Alt-Right infamy, will be Chief Strategist for the new administration is a time-bomb waiting to explode. If the nation survives this, as I am quite confident it will, we will be well-positioned for a return to sane, progressive leadership if the Democrats can find their way to offer it in 2020.